About 1.5 million Americans are diagnosed with diabetes every year. In 2015, 30.3 million Americans, or 9.4 percent of the population, had diabetes. Approximately 1.25 million American children and adults have type 1 diabetes. Diabetes kills more Americans every year (2010: 69,201 deaths) than acquired immunodeficiency syndrome (21,601 deaths, 2009) and breast cancer (40,676 deaths, 2009) combined. Nearly half of American adults have diabetes or prediabetes. Diabetes increases the risk of heart disease (the most common diabetes complication) by about four times in women but only about two times in men, and women have worse outcomes after a heart attack. Women are also at higher risk of other diabetes-related complications such as blindness, kidney disease and depression. Diabetes is different among women as well. African American, Hispanic/Latina, American Indian/Alaska Native and Asian/Pacific Islander women are more likely to have diabetes than white women. Epidemiologic evidence suggests that people with diabetes are at significantly higher risk for many forms of cancer. In fact, diabetes and cancer often coexist in the same individuals. In a previous study, 8 percent to 18 percent of individuals suffering from cancer also had diabetes, and prevalence rates varied according to tumor sites. A recent global review involving almost 20 million people has shown that having diabetes significantly raises the risk of developing cancer, and for women the risk is even higher. 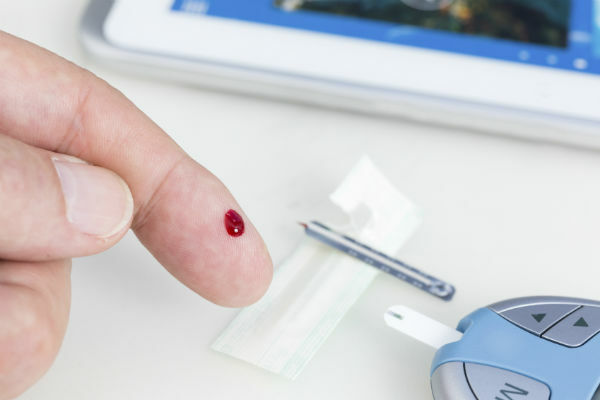 According to Dr. Toshiaki Ohkuma, research fellow with The George Institute for Global Health, the link between diabetes and the risk of developing cancer is now firmly established. Ohkuma and researchers have also demonstrated for the first time that women with diabetes are more likely to develop any form of cancer and have a significantly higher chance of developing kidney, oral and stomach cancers, and leukemia. This review indicated that women with diabetes were 27 percent more likely to develop cancer than women without diabetes, and for men the risk was 19 percent higher. Diabetes was a risk factor for the majority of cancers of specific parts of the body for both men and women. Overall, women with diabetes were 6 percent more likely to develop any form of cancer than men with diabetes. There were significantly higher risks for women with diabetes for developing cancer of the kidney (11 percent higher), oral cancer (13 percent higher), stomach cancer (14 percent higher) and leukemia (15 percent higher) compared to men. For liver cancer, the risk was 12 percent lower for women with diabetes compared to men with diabetes. One explanation is that heightened blood glucose may have cancer-causing effects by leading to DNA damage. Dr. Sanne Peters of The George Institute for Global Health at the University of Oxford believes that there are several possible reasons why women were subject to an excess risk of cancer. Women are in the pre-diabetic state of impaired glucose tolerance two years longer than men. According to the researchers, the more gender-specific research indicates that women are not only undertreated, they have different risk factors for other diseases, including stroke, heart disease, as well as diabetes.